This month’s PresPoll asked if you saw the goals of ten national organizations as being compatible with four areas in which PlaceEconomics works – historic preservation, downtown revitalization, economic development, and place making. Now we’ve never claimed that our monthly PresPolls constitute a representative sample of the entire US population or that based on polling data we’d be able to predict the results of the next election. Given that the poll is distributed through Facebook, and that most of our “friends” on Facebook are likely to share our interests in one or more of the four topics above, PresPoll is more of an experts’ survey. But we like it that way. Our intent with the PresPolls is not to “prove” anything, but rather to get a sense of how our friends, clients, colleagues, and those who share our interest areas feel about a variety of subjects. We’ve always claimed that we learn far more from our clients than they learn from us, and the PresPolls are just another example of that. This month’s survey provided some predictable results, but also some surprises. We’ll start by sharing the overall data and then delve into some subsets. Question 1 was “How compatible do you think the goals of the following organizations are with Historic Preservation?” Here are the responses. No surprise that both the National Trust for Historic Preservation and its subsidiary the National Main Street Center were seen by more than 90% of respondents has having goals that were compatible with historic preservation. At the other end of the spectrum, only around a third of survey takers felt that either the Congress for New Urbanism or the International Downtown Association had goals that were consistent with historic preservation. But there’s a difference between those organizations when looking at the responses from the other direction. Nearly as many responders saw the CNU as incompatible with historic preservation (34.5%) and compatible (35.3%) whereas for the IDA not so many saw its goals as incompatible (10.1%) as that the organization’s goals just weren’t known (40.3%). Also important for our friend Carl Elefante, president-elect of the AIA, is that a third of respondents felt that organization’s goals were somewhat or very incompatible with historic preservation. Great preservationist that he is, we’re confident that Carl will change both the perception and the reality of that response. Again, some of the responses were predictable. The National Main Street Center’s goals were seen as compatible with downtown revitalization by more than 9 in 10 respondents. The Center’s creator – the National Trust – had nearly as high a compatibility rating at 86%. Here was a surprise: the International Downtown Association, although it had an overall compatibility rating of just under 60%, was still in the bottom half of the organizations, with the American Planning Association, Project for Public Spaces and the Urban Land Institute all seen as having more compatible goals with downtown revitalization than did the IDA. Although the answers indicate that most of the takers of this poll are familiar with the National Main Street Center, the International Downtown Association was clearly much less familiar in that more than 30% of respondents didn’t know what that organization’s goals were. The American Society of Landscape Architects had the lowest goals’ compatibility with downtown revitalization at slightly less than a third, but nearly as many people viewed the ASLA goals as neither compatible nor incompatible. The only other organization to fall at less than 50% on the compatibility side was again the AIA. Question 3 was the same question with the subject being economic development. 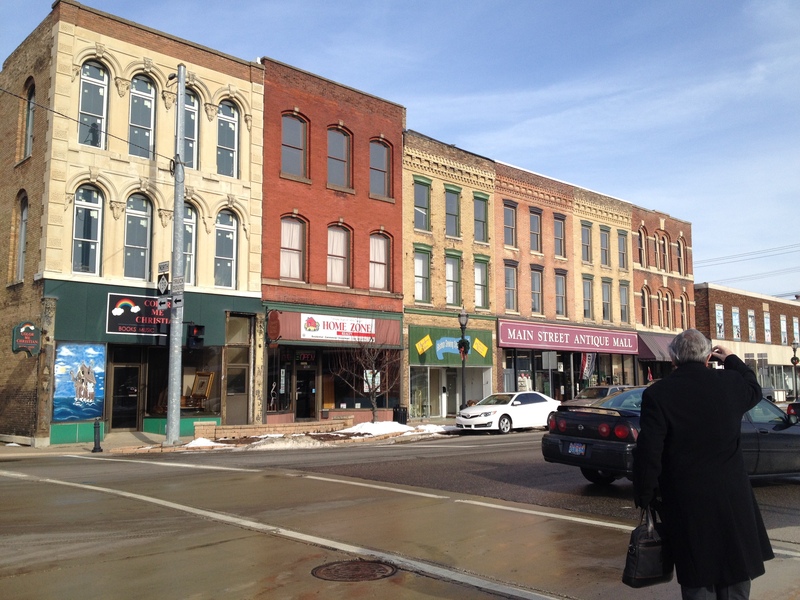 Main Street is usually defined as economic development in the context of historic preservation. Nearly 90% of respondents thought the goals of Main Street were compatible with economic development. (You might want to consider this in conjunction with PresPoll #4, which was specifically about Main Street. That survey showed that people thought economic vitality was the most important of the 4 Points of Main Street, but that it was the one in which their local organization did least well). The National Trust was also seen as being compatible with economic development. This might be a surprise for those who claim that cities have to choose between historic preservation and economic development. These survey results demonstrate what a false choice that is. Historic preservation is a vehicle for economic development rather than a barrier to it. Once again the only two organizations where fewer than half of the respondents felt the goals were compatible with this interest area – economic development – were the American Institute of Architects and the American Society of Landscape Architects. But the results regarding those two organizations differed in an important way. For the ASLA, two-thirds of respondents thought the organization’s goals were either neither compatible nor incompatible or they just didn’t know. Fewer than 6% thought the goals were incompatible. However, 16% felt that the goals of the AIA were incompatible with economic development. Place Making is the one area where the goals of nearly every one of the named organizations was seen as compatible. The sole exception was the International Downtown Association, but again, driven by the fact that over a third of the poll takers simply didn’t know the goals of the organization. Scoring highest in the Place Making compatibility scores was again the National Main Street Center followed by the Project for Public Spaces and the National Trust. Two other ways of looking at this data may be of interest. If you follow presidential election surveys you may have seen pollsters citing the “net favorables” or “net unfavorables” of Clinton and Trump. In the New York Times/CBS News poll in mid-July, 2016, 30% of the respondents had a favorable opinion of Trump while 54% had an unfavorable opinion, leaving a net favorable of -24. The same poll showed Clinton with 28% favorable, 54% unfavorable, meaning a net favorable of -26. We took the same approach. For each of the organizations we asked if you felt the goals of the organization were very compatible, somewhat compatible, neither compatible nor incompatible, somewhat incompatible, very incompatible, or don’t now. We then took the two “compatible” percentages, subtracted the two “incompatible” percentages and were left with a Net Compatibility Score. Every organization in each of the four subject areas scored a net positive, meaning more people felt that organization’s goals were compatible than thought they were incompatible. (Although the Congress for New Urbanism barely squeaked by in the compatibility with historic preservation category, with 35.29% considering its goals compatible with historic preservation and 34.45% answering incompatible). Finally we looked at the issues and organizations to which a number of people responded “I don’t know”. This, of course, is a bit of a reflection of the poll takers, primarily our Facebook friends. But it also might be a signal to these organizations that they need to do a better job of letting people know what their goals actually are. All of these organizations are, in some way, working so that we have better towns and cities tomorrow than we have today. The more allies there are in that process the more effective each of these organizations can be. Here’s our average “I don’t know” score for each organization. At least for our poll takers, the International Downtown Association, Smart Growth America, the American Society of Landscape Architects and the Project for Public Spaces have plenty of opportunity to make their goals more widely known. Thanks for taking our PresPoll.